FEAR is mounting for a missing teenager from East Preston who has not been seen for almost two weeks. Kieran Waldron, 16, was last seen at home in East Preston on May 28 at around 7pm. 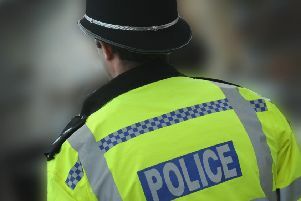 A Sussex Police spokesman said officers believed he could be in the Crawley area as he has connections in the town. He is described as around 5ft 8ins, slim, with short straight hair. He was last seen wearing a black padded three quarter length jacket, a navy hooded top, blue T-shirt, skinny jeans and white trainers. Anyone who has seen him or knows where he is, is asked to contact police on 101@sussex.pnn.police.uk quoting serial 1675 of 28/5.